Wayne is credited with fusing one of the worlds oldest living instruments with the modern rhythms of today's music. Wayne's lung popping performances display infectious grooves that creates a raw energy reflecting the Aboriginal Culture that he grew up in. 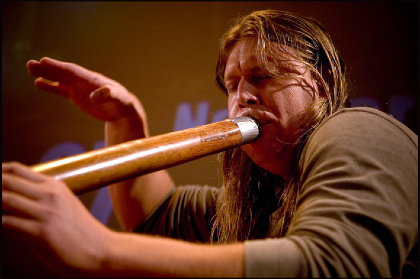 One of his main goals is to bring awareness to the Aboriginal plight through the music of the didgeridoo. 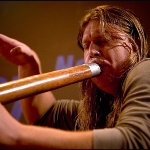 With the release of his debut album titled DJUN DJETTI is not only an eclectic range of didgeridoo music, but it makes it evident of his mastery of this ancient instrument and connection to his Aboriginal roots and mother earth. Wayne's experiences include, performing for the United Nations, the Outback Steakhouse TV and Radio commercial, new forum on cptv, numerous radio station interviews, hard rock cafe performances, university, education institutions around the globe. Currently Wayne has joined 1001 Ways at the Gandhi tour.